If you’re a fan of the X-Men, then you know that Charles Xavier (aka Professor X) is renowned as one of the most powerful telepaths around. But even Chuck can use a little boost every now and then. 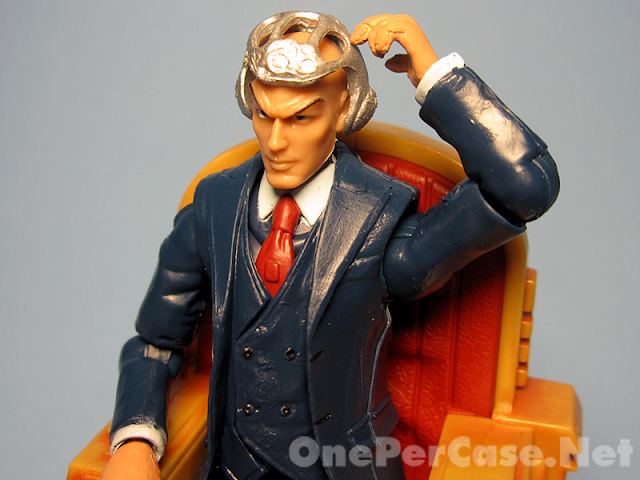 Want a (relatively) cheap and easy way to augment Professor X’s mental powers? 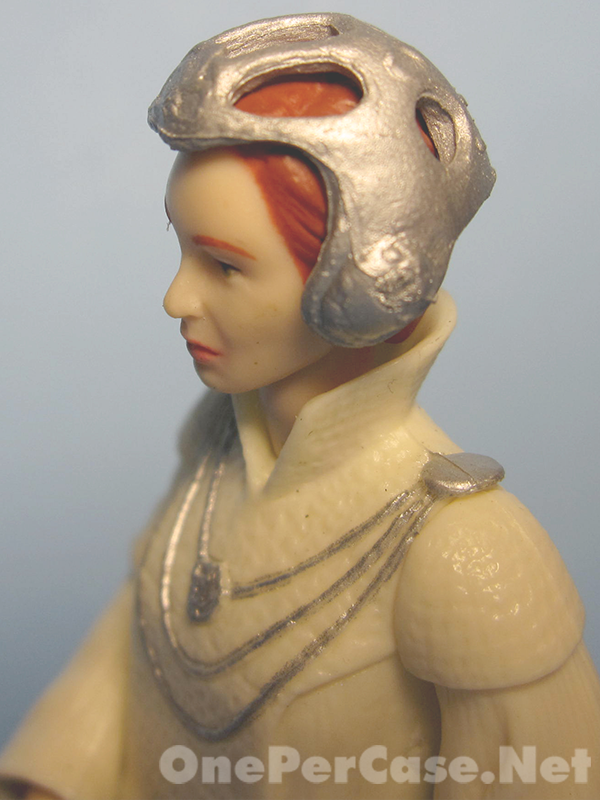 If you’re a Star Wars collector, you may be in luck. Read on to find out how! 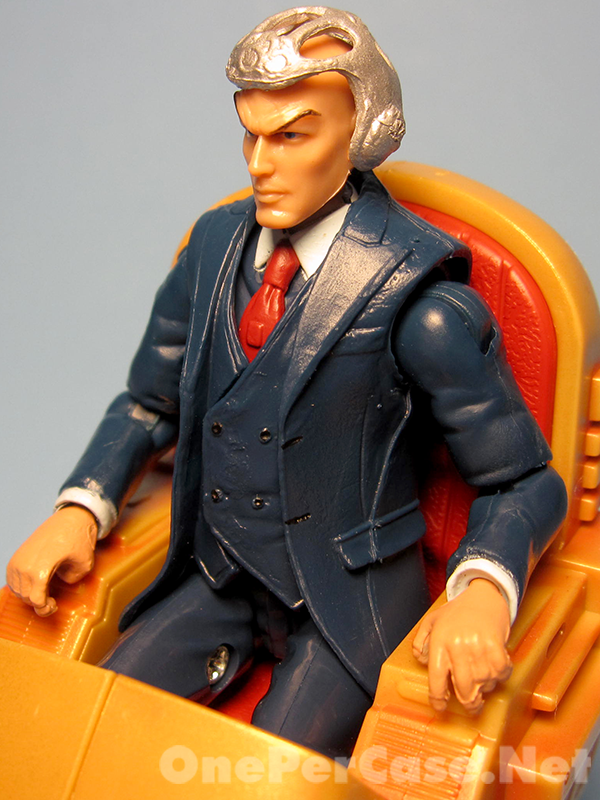 I wouldn’t go so far as to call this a custom, but a cheap and easy Cerebro accessory. 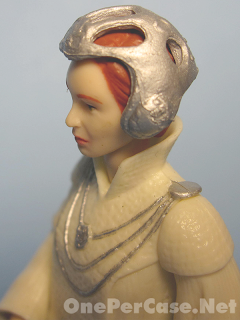 The Star Wars: Revenge of the Sith line from 2005 featured a Mon Mothma figure with an odd ornate sculpted metal “helmet” of some sort. Frankly, I always thought it was a puzzling accessory. Somewhere in my web browsing (sorry to the originator, I can’t for the life of me remember when I saw it), someone found a brilliant use for said accessory. Pop that crown on to Charlie’s dome, and bam (or bamf, depending who’s putting it on his head), instant Cerebro! 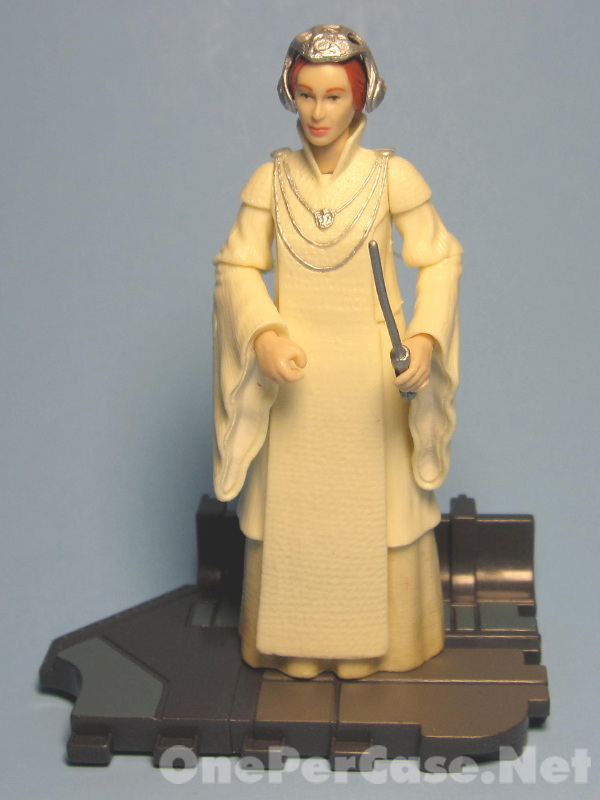 If you’re a Star Wars collector of 7-8 years, you may or may not have a Mothma laying around. If you don’t, fear not. 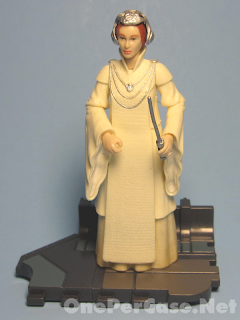 These can be found on the secondary market (like most ROTS figures) on the cheap. I paid $7 for the figure off of eBay, shipping included. 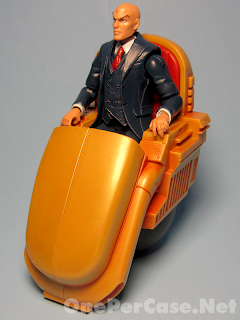 I won’t lie, it doesn’t fit tightly on Professor X’s head, but it fits well enough that it stays on. I’ve had pack-in accessories that fit a lot worse. So there ya go. Keep Xavier tied in to Cerebro on the cheap!